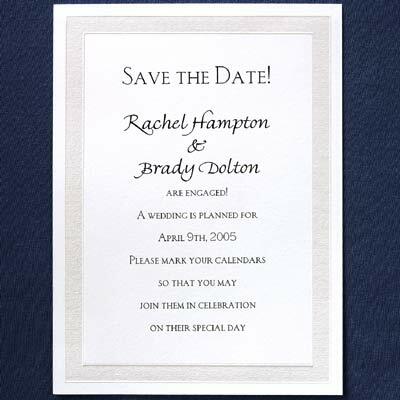 Invitations inform your guests of the date, time, place and hosts of your occasion. They also give your guests the first impression as to the style of your event. Wording on all invitations is interchangeable or you can write your own. Create your own look by choosing any ink color, lettering style or enhancement, such as bows or wraps. Invitations should be mailed four to six weeks prior to your wedding date. We recommend ordering 25 more invitations than the number required for your mailing list at the time of your original order. This allows for addressing errors and last minute guests. Ordering 25 more at a later date is considered a new order and is very costly. With only a simple change in wording, any invitation can be used as an announcement. 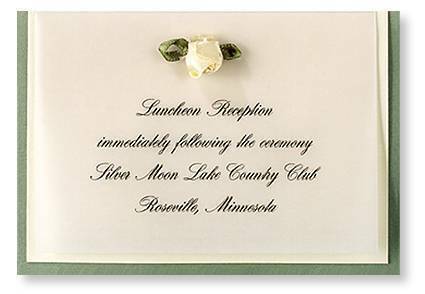 Announcements should be mailed on the day of your wedding or shortly after to those you are unable to invite. Include the city, state and date your are going to be married; but specific details such as the time and address are usually excluded from the announcement wording. Printing your return address on the back of the outer envelope will help asure the return of any invitation that may have addressing errors for you to re-mail. It will also save you from writing your return addresses over and over. All lettering styles and ink colors are available to match your invitations. 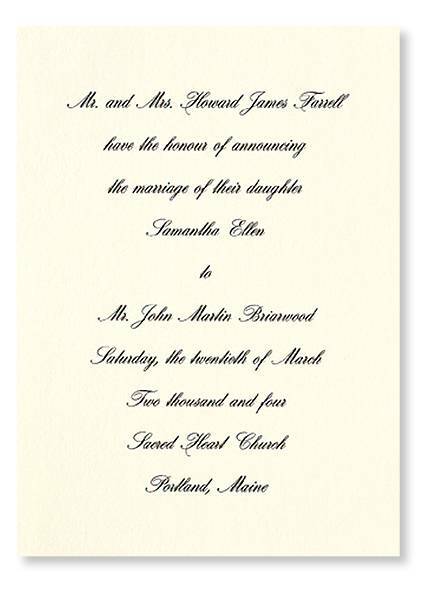 Lined envelopes are an inexpensive way to enhance the elegance of your invitation. Most invitations come with two envelopes. The outer envelope is addressed to your guests' homes; the inner "ungummed" envelope is addressed with your guests' names and fits inside the larger outer envelope. Add a lined inner envelope that matches your invitation and ink color. This is another way to add to a customized look to your invitation. Reception cards indicate the time and place of your reception. They also provide other important information such as Dinner Reception or Adult Reception. You include these only in the invitations of the guests whom you wish to attend your reception. Envelopes are not required as they are enclosed with the invitation. Response cards make it convenient for your guest to reply and for you to plan properly. They always include a line for the guest to write their names, a line for the number of persons attending and the date you are asking your guests to reply by. The response date should be approximately 3 weeks before the wedding. If you are offering your guests a menu choice, list the options here. An envelope printed with your name and address is included. Response cards are a small expense that can ultimately save you money on your reception costs by knowing how many meals your caterer needs to prepare. 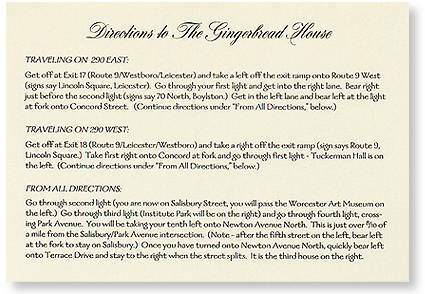 These cards provide your guests with a quick reference to help them arrive at the wedding events without getting lost. Map cards can be customized to fit your needs. 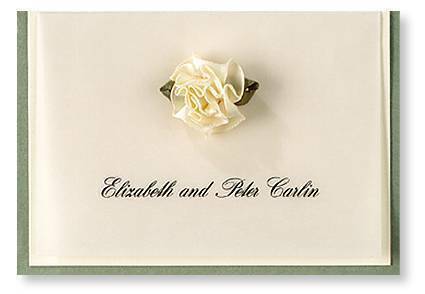 Informal are folded cards printed with the names of the bride and groom, the bride only, or the new couple's monogram. They are blank inside for writing a personal note of thanks or for brief social notes. 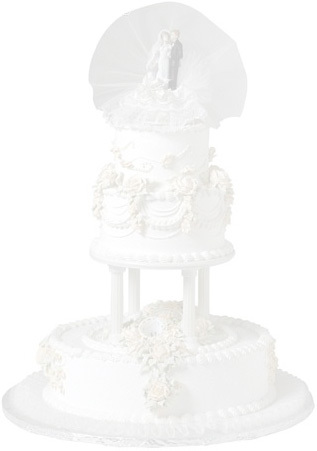 Many brides also order a set with their maiden name or monogram for writing thank you notes for shower gifts. 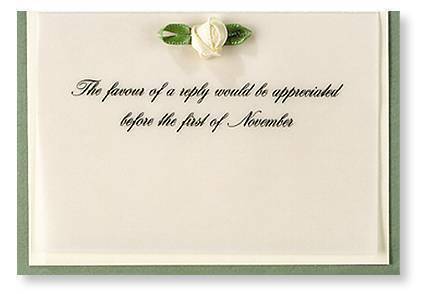 Order an ample supply to have them available any time you need to write a note. Thank you notes are available with two printing options. "Thank You" is printed on the front, and the inside can either be blank to write a personal note, or printed with a standard verse and your names.